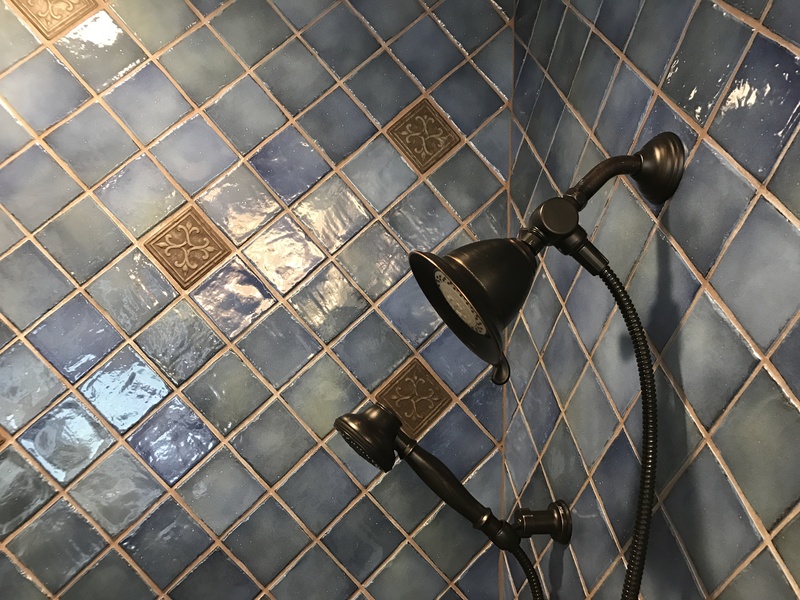 Tile is impervious to water which makes it the best choice for bathrooms and showers.... not to mention the time honored look of tilework creates a spa-like place of relaxation. 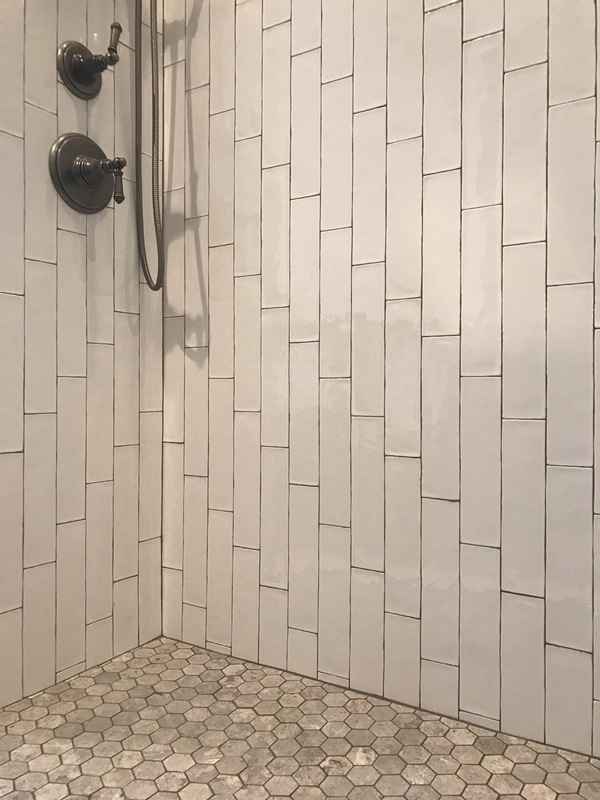 Small tile is commonly used on shower floors because the grout lines between the tile helps to prevent slipping while wet. This is a great place for river rock, mosaic tile, octagonal patterns and small squares. Most tile designs offer a small format tile for this reason. Tile is often chosen first for the color, then the pattern and finally the size. Tile selections have coordinating items that can be used on the floor, in a decorative pattern and the field tile (main tile for wall). You can design built-in niches into the walls of your new shower to hold shower accessories. This is another place you can use a smaller format tile and add a custom touch. Be sure to measure the tallest shampoo bottle so you can accommodate your favorite products!